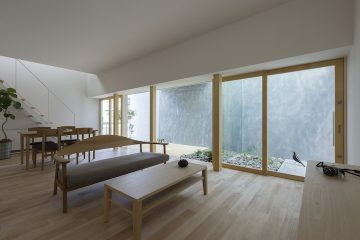 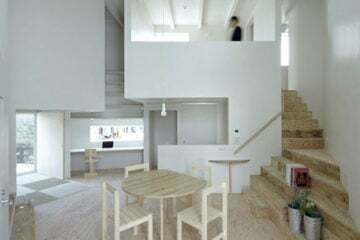 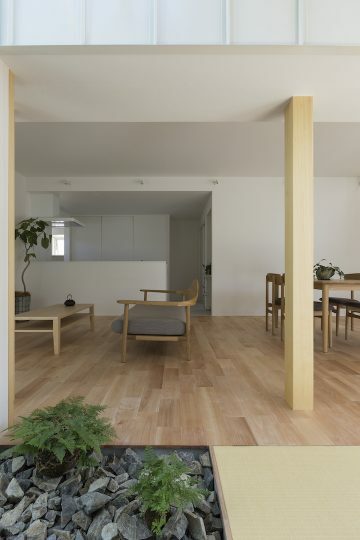 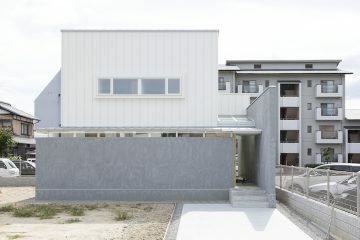 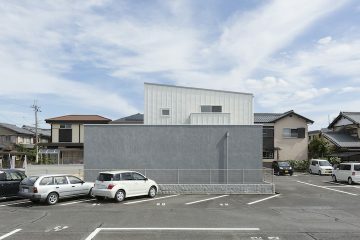 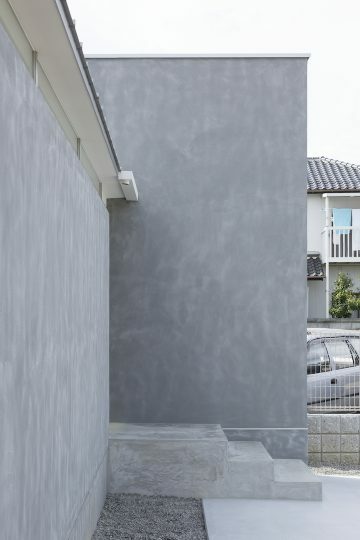 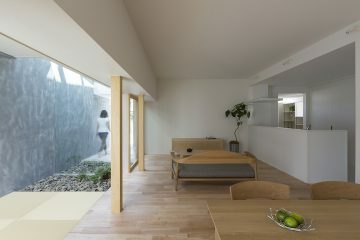 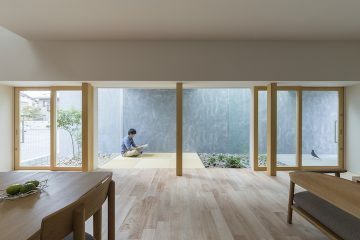 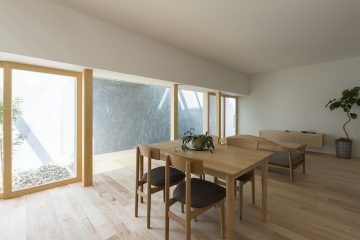 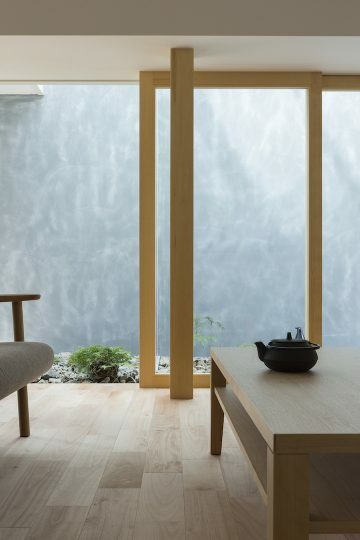 Built on a lot surrounded by neighboring houses and a parking space, Japanese ALTS Design Office had to find an extraordinary solution for securing privacy and still find a way to let natural light into the Kusatsu House, located in Shiga, Japan. 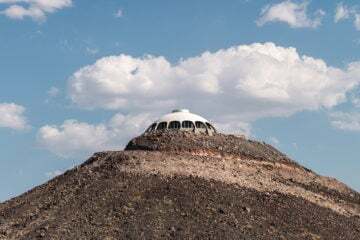 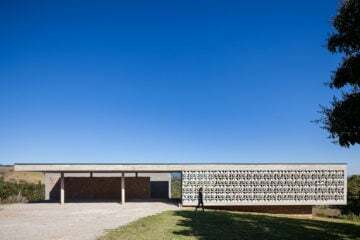 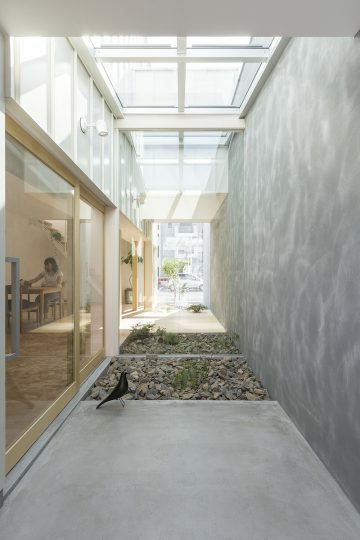 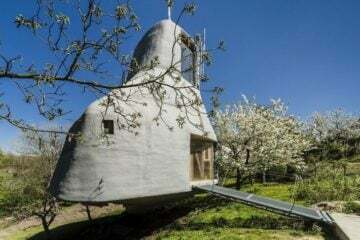 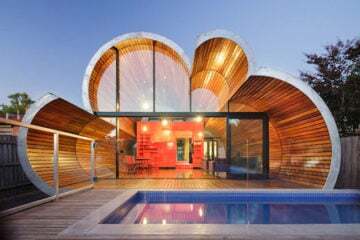 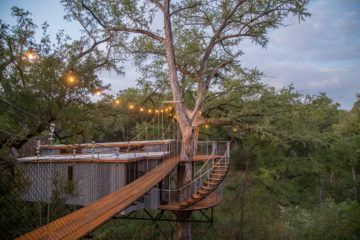 They came up with a residential home based around a high, concrete wall without windows that not only offers the needed privacy, but also creates an internal pathway, covered by a large skylight that’s naturally lighting the ground floor. 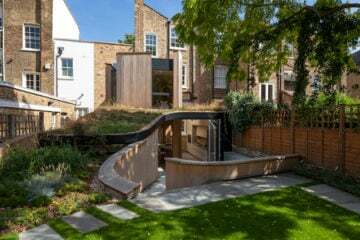 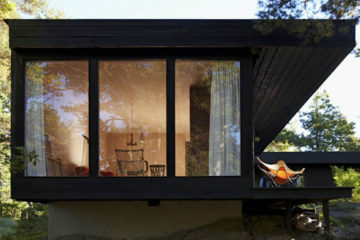 The rest of the house was created around this alley and relaxation area featuring an open living space with elements of timber and additional spots of rocks and greenery to create an almost natural environment without direct views to the outside.